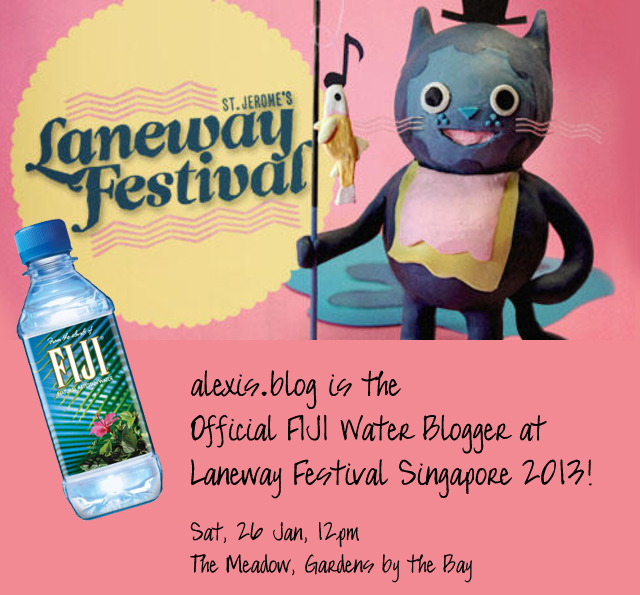 alexis blogs: Official FIJI Water Blogger at Laneway Festival 2013! 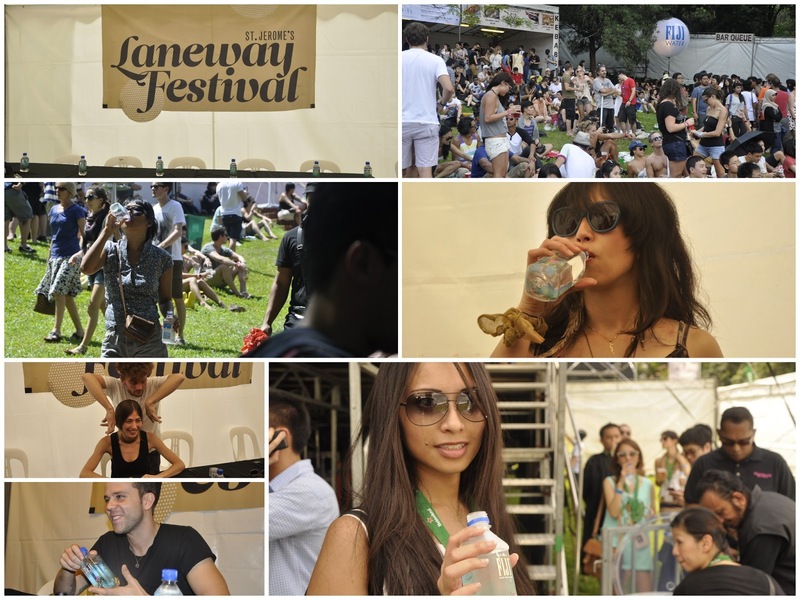 Official FIJI Water Blogger at Laneway Festival 2013! I am so excited, words don't even...! I am happy to announce that I am going to one of Singapore's most exciting music festival of the year, courtesy of FIJI Water! As one of their official bloggers to Laneway, I would be covering it next Saturday from 12 noon onwards at Gardens by the Bay. Here are some photos of last year's event at Fort Canning. This will be the third year that FIJI water is the Official Artesian Water for Laneway Singapore. I'm looking forward to the 4 stations of FIJI Water which will be a welcome sight for a refreshing break! I really like the square water bottle of FIJI water. There's also going to be a photo competition that day where festival goers just need to take photos taken with #FIJIWaterLanewaySG to win 10 autographed Laneway posters. For those who are not attending, fear not because you can still win exclusive T-shirts if you follow and retween @FIJIWaterSG. I am ashamed to say that I don't know some of them, but I am really excited that Of Monsters and Men are coming, as well as Kings of Convenience and Polica, whom I just discovered recently! 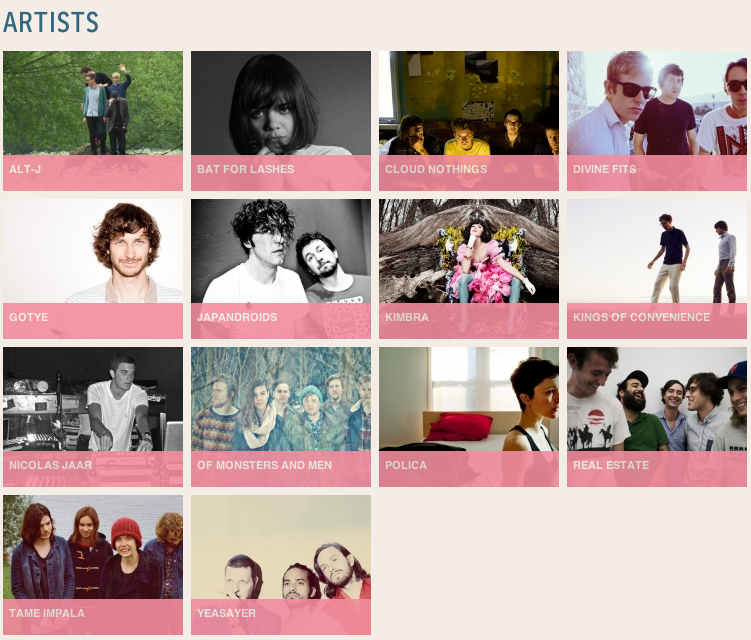 Bat for Lashes will be great as well, and Alt-J! All in all it seems like I'm in for a great time. Just hoping that it will not rain that day! If you are at the Festival do remember to say hi! Stay tuned next Saturday on my Twitter, Facebook and Instagram for live updates!